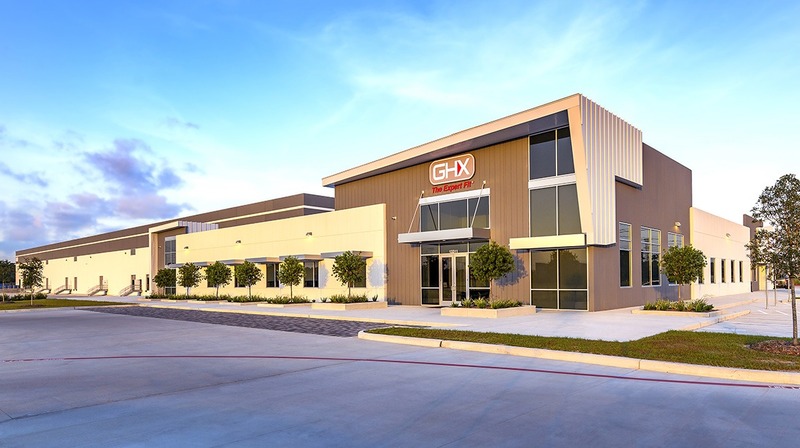 The GHX Industrial building at Lockwood Business Park is home to GHX’s new headquarters and Houston distribution center. Located in Generation Park, the building takes design queues from the look and feel of the master-planned park. 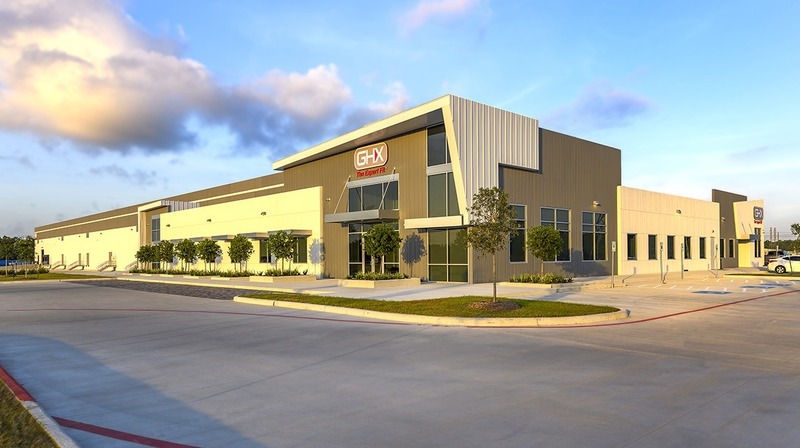 The 143,500 square foot facility includes 121,000 square feet of warehouse and shop space and 22,500 square feet of office space. 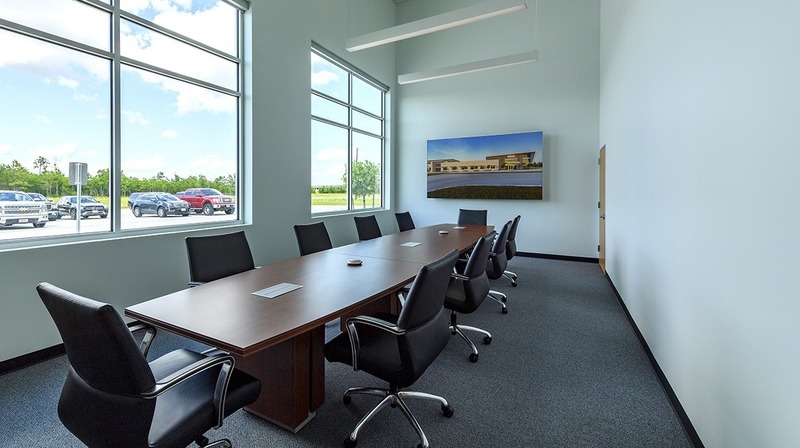 As the anchor tenant of the new Lockwood Business Park, the building really establishes a baseline of high level design and focus on human scale. 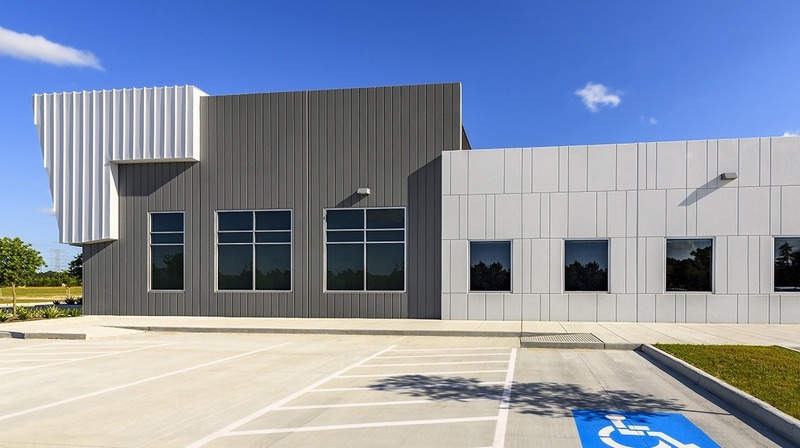 Painted and textured concrete tilt wall panels make up all of the exterior finish and express materiality with pattern of reveals, both tight knit and sporadic depending on the function of the interior space. This along with staggering positions and varying height of panel allow for the building to maintain just the right proportions and balance for an expressive façade. 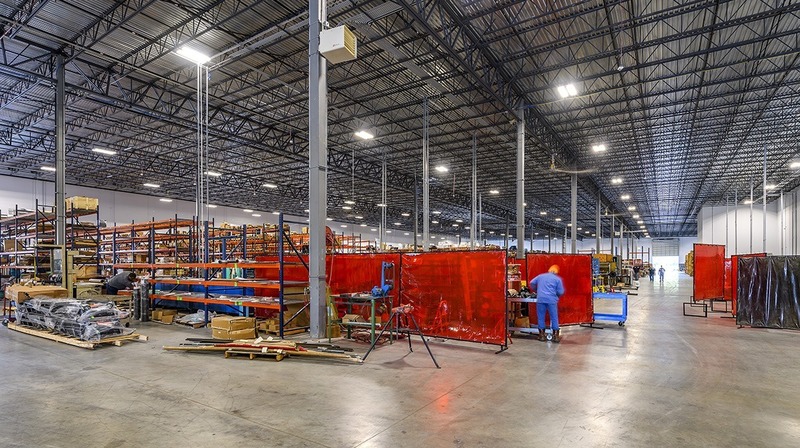 In addition to the concrete tilt wall design, aluminum canopies and glazing areas emphasize components of the design, rather than the typical big box industrial method. 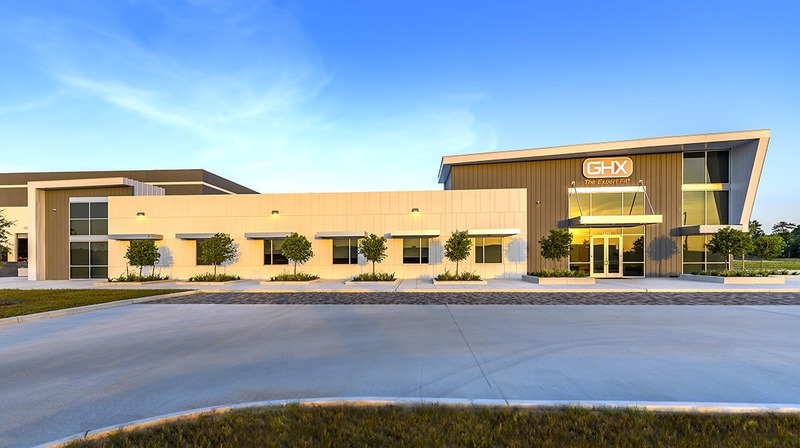 The project was a collaboration of all parties who overcame the challenges of a tight schedule, just 10 months from design to completion, and a catastrophic weather event in Hurricane Harvey. 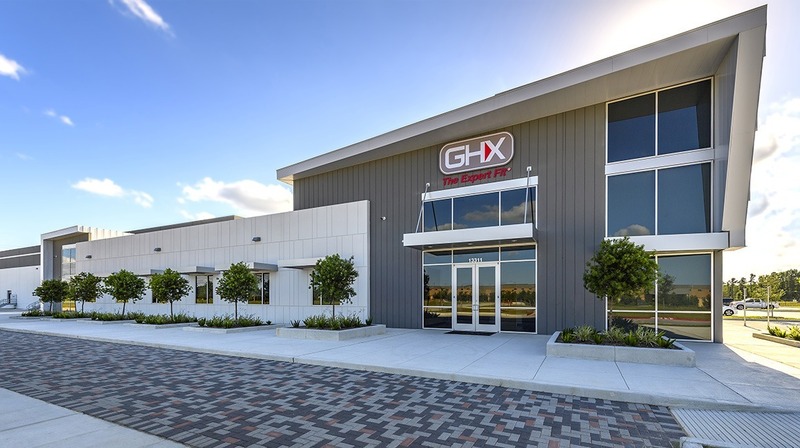 Finding critical paths in each phase or task was the key to keep the project moving forward, ultimately achieving success in the delivery of a unique and distinctive industrial building.